ProTouch Laser Treatment for Enlarged Prostate in Manhattan, Brooklyn, Queens, Bronx, New Jersey, Long Island, Westchester, and Connecticut. by Dr. Alex Shteynshlyuger, a board-certified urologist and specialist in the treatment of enlarged prostate, BPH and urinary retention. He is one of the first urologists in the US and NYC to offer Urolift and prostate enucleation, an alternative to traditional TURP as a treatment for enlarged prostate. ProTouch laser is a special laser that was designed for the treatment of BPH in men. How Effective is Pro-Touch BPH Laser for Treatment of Enlarged Prostate? ProTouch laser can be used for prostate laser enucleation and prostate ablation. Treatment with ProTouch laser is effective in improving urinary symptoms caused by an enlarged prostate. Outcomes are similar to other lasers used in the treatment of BPH. Does ProTouch Laser for Enlarged Prostate Symptoms Help with Urine Stream? What are the Advantages of ProTouch Laser for BPH? A major advantage of using the Pro-Touch T-1470 laser for treatment of men with a large prostate is its ability to control bleeding. The pro-touch laser is very hemostatic and minimal to no bleeding typically occurs during the procedure. This is of particular benefit to patients who need to restart medication such as aspirin, Plavix, and Lovenox soon after the procedure. How Soon can Pro-Touch Laser for BPH Be Performed? What Are My Options Right Now For Treatment Of Enlarged Prostate? For patients suffering from symptoms of the enlarged prostate such as slow urine stream, urinary urge, frequent urination and waking up at night to urinate, procedures such as Urolift procedure and Rezum procedure are currently available in the United States and have similar efficacy and safety profile as iTind. 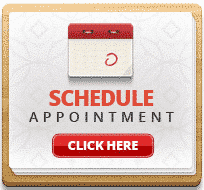 These procedures are performed in our offices at New York Urology Specialists. For men with very large prostates, laser enucleation of the prostate is a good and effective treatment option. Our surgeons are experienced in performing laser enucleation of the prostate in NYC. Why Choose New York Urology Specialists for Treatment of Urinary Retention Caused by Enlarged Prostate? All treatment is performed by a Board-certified urologist experienced in treating men with symptoms of BPH using medical therapy, minimally invasive therapies, lasers and open surgery. 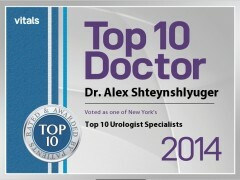 Dr. Alex Shteynshlyuger is a fellowship trained board-certified urologist with expertise in evaluation and treatment of urinary problems in men. He uses modern effective and proven treatment methods including prostate enucleation and Urolift for BPH. 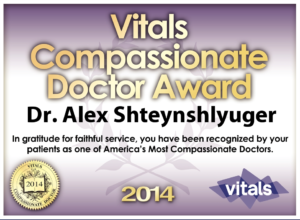 He is highly recommended by top primary care physicians in the New York area. Does Insurance Cover the Cost of REZUM Therapy for Enlarged Prostate in NYC?